On March 10, 1862, four Confederate soldiers who had been deserted by their main company after the March 7 Battle of Pea Ridge were making their way home to the present-day Gentry and Siloam Springs areas. Knowing it was unsafe to travel during daylight, the soldiers, John Sager, Samuel Sager, Ned Lovel, and Haywood Pleasant Thomason, took cover in a bluff above Pipe Springs. Shortly, however, they were attacked by members of the Cherokee Home Guard, commonly known as “Pin” Indians. Of the four Confederates, only Samuel Sager managed to escape with his life. Sager made it to his father’s home near present-day Siloam Springs. After relating the sorrowful news, four young women, Lavinia Gunter, Ann Gunter, Mary Culbertson and Sarah Culbertson, hitched up a wagon and set out to retrieve the three Confederate dead, since travel for men was too dangerous. The women managed to load the soldiers into the wagon and brought them home for burial in Hico Cemetery in present day Siloam Springs. 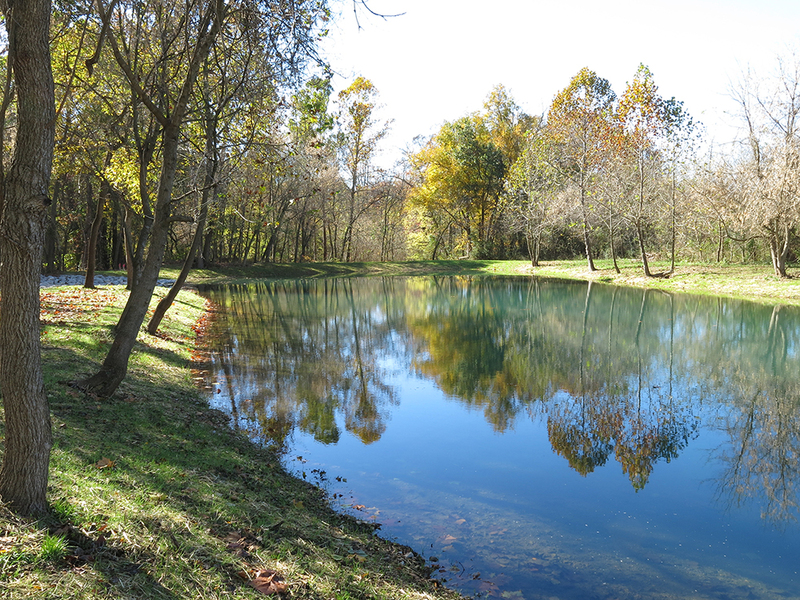 Today, Pipe Springs is part of the Flint Creek Nature Area just south of Gentry. Turn west on Dawn Hill East at Sleepy Hollow Store off Arkansas Highway 59. The Nature Center is less than ¼ mile on the south side of the road.